What can I say, I am a Lancôme girl! I have always been and will always be! As I have said before, I started using Lancôme products as soon as I was old enough to wear make up! You see, my mom is also a Lancôme girl from way back and made sure I had a love of the brand from the beginning! Anytime I get the chance to try out a product of theirs, I am ecstatic! I absolutely love discovering new products and sharing them with y’all! 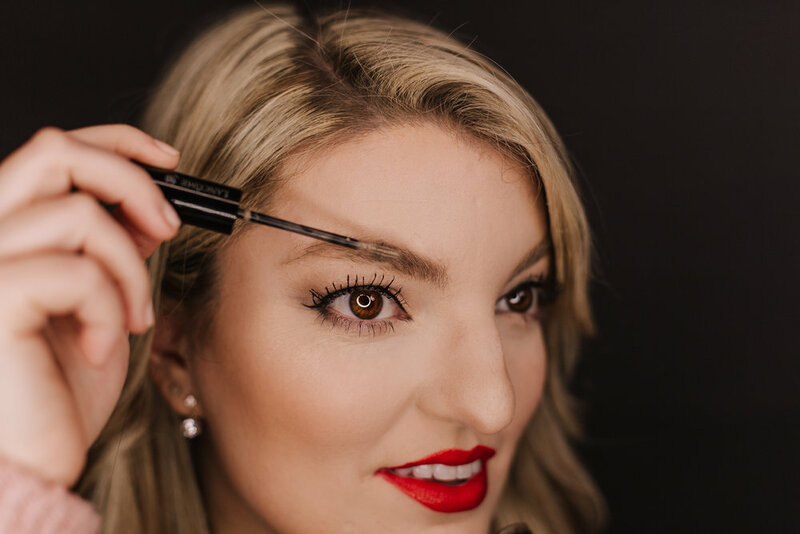 This past week I had the chance to take their new Sourcils Styler Brow Gel for a spin! Spoiler alert, I LOVE IT! Let’s be honest, brows are back and have been for a while! We love those thick, disheveled, grown out yet painstakingly labored-over brows! I personally love a thicker brow with a little relaxed push in the middle corners, if you will! My brows are slightly thicker and have the potential to be really crazy if I do not manicure them. There’s something about having just the right amount of foundation, blush, and a flush of lip color to accompany full disheveled brows that makes me feel like Audrey Hepburn! What I loved about it?! In a word - EVERYTHING! Firstly, texture is key and this product hits the marks perfectly! There is nothing worse than a sticky brown gel on your face all day long. This product dries to a wonderful hold while not looking like plastic! It holds each hair in place all day! As for the color pay off, I wore the shade blonde and it was a wonderful match! It did not darken my brows at all. It just blends in nicely with the natural color of my brows since my brows are already a blondish brown color! If darker brows are your thing, I would suggest going a shade darker to get the desired look you want! I am happy to have my brows blend with my hair color, so the blonde was perfection! Over all, I would highly rate this product and will be adding it to my daily routine when I want my brows on point all day! I hope that you have enjoyed today's article and review! Mostly I hope you enjoyed the video for this post! We LOVE making creative content so much! Especially when it is for a brand that I feel so passionate about! I have linked a round up of some of my favorite Lancome products below in a carousel! Thank you so much for stopping by the blog! Don't forget to SUBSCRIBE if you have not already and leave a comment below telling me your favorite brow products! I would love to chat with you! Until next time, have a great week!